This was a frightening thing. She drew her skirts more closely around herself, pulled her scarf over her eyes. But as time went on, there was something that kept emerging, something that would not be denied. She was peeling open. At first, it simply itched, like a rash, like pulling nettles. As weeks went by, what had been easily born, what could be endured, became painful, became an agony. Try as she might, as tightly as she wrapped herself in her cocoon of shawls and skin and silence, within the comforting routines of her life, still, colors emerged from her hands. Colors spilt from her mouth. Colors and tears, deep waters that seeped from within, washing away the dust of her life. Soon, sleep became impossible. Standing by her window one day, shivering, she shook with fear. "Please help me", she cried, "I'm not the same". Then she noticed a beam of sunlight that fell across the floor of her little room like honey. Motes of dust gathered in the golden light, becoming a flurry of butterflies. 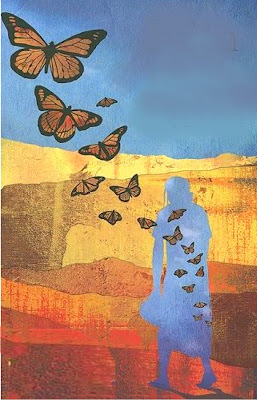 Butterflies, dancing through an open window, a window opening into a sky as blue and as vast as forever. And La Mariposa opened her arms, took the gift of wings, and rose. My friend Fahrusha (the name means "Butterfly" in Arabic) is a well known psychic in New York City. She has a fascinating blog, Fahrusha's Webblog that often deals with issues and controversies of the paranormal, consciousness, as well as contemporary issues and culture. 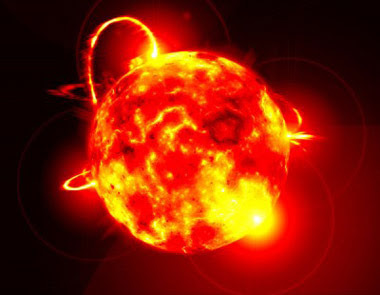 In the midst of my recent flurry of "Butterfly" synchronicities, Fahrusha sent me this article about the sun affecting the decay of radioactive matter - in essence, certain scientists are saying that the rate of decay is speeding up. I know this post is far from being about art, but I was so stunned by reading I felt I should share it. "In fact, some evidence of time dilation has been gleaned from close observation of the decay rate. If particles interacting with the matter are not the cause—and matter is being affected by a new force of nature-then time itself may be speeding up................Researchers have correlated the anomalies in the decay rate to a 33-day period. That time frame matches the 33-day rotation of the solar core. Such a match strains credulity as being a mere coincidence." Sun Activity is Affecting Time? "for those who will cherish color." What if there be no heaven? Mabon is a time to give thanks for the bounty of the harvest, to give thanks to Mother Earth, and falls on the day of the autumnal equinox. In 2010, the equinox falls on September 22 in the Northern Hemisphere. Bright blessings on this auspicious day to all! Another note on the "Butterfly Man"
Well, darn, this is getting interesting! Here I am thinking about butterflies again, and wouldn't you know Alan Moore (the Butterfly Man) leaves a message on my voicemail to call him. Haven't spoken to Alan in about 4 years. 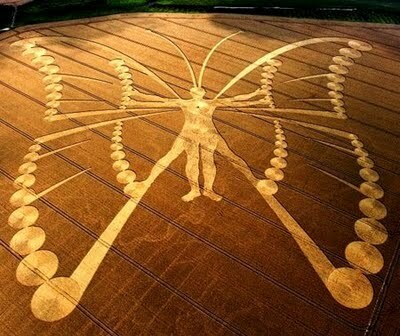 I'm fascinated with the "Butterfly Man" gigantic crop circle that occurred last August in the Netherlands. There is controversy as to who made it; I can't seem to get any clear answers in my Internet search, although have found lots of mystical types who are having a great time with it. But whether "The Da Vinci Butterfly Man" was made as a work of art by a group of very determined and inspired people, who somehow managed to create it in the dark, or it was made by artists from rather farther away with a bit more technology.......it is amazing. 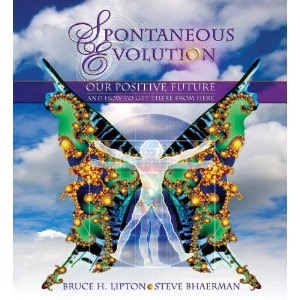 called "SPONTANEOUS EVOLUTION", and the same image is on the cover of the book. If this isn't a miraculous synchronicity (or symmetry), then it's certainly a heck of a good advertisement for the book. "According to pioneering biologist Bruce H. Lipton, (rapid evolution on a cellular level) is not only possible, it’s already happening. We are surrounded by the proof that we are poised to take an incredible step forward in the growth of our species. In Spontaneous Evolution, this world-renowned expert in the emerging science of epigenetics teams up with political philosopher Steve Bhaerman to offer a new and hopeful story about humanity’s evolutionary destiny." Dr. Lipman is one of the keynote speakers on the 25th of this month, at the International Conference in Moscow, Russia, "New Human, New Earth". That would be a fascinating event to attend! Here is Jose Arguelles modification of a Mayan symbol, "Hunab Ku". 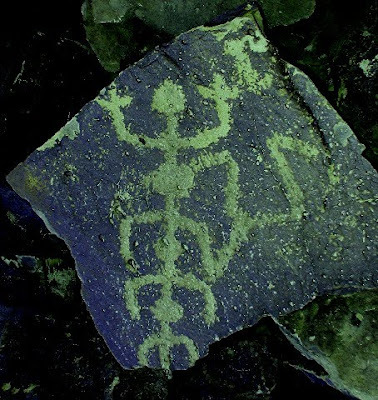 According to Arguelles and colleagues, the glyph represents the "Galactic Butterfly". 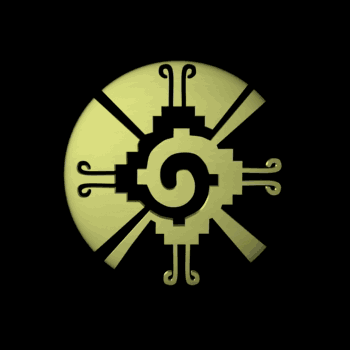 I personal love this symbol, because it represents the spiral union (to me) of light and dark, an integral symbol. 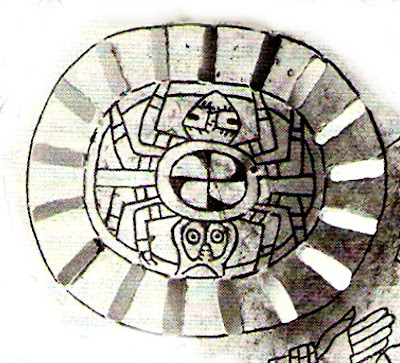 Arguelles and others have asserted that Mayan cosmology was based on, or included, the existence of Hunab Ku at the center of the galaxy, and that the Mayans were able to demonstrate the location of the galactic center; as a result of his book "The Mayan Factor", this symbol has become associated with the Mayan Calendar, which predicts the end of a cycle in the year 2012. There is, of course, a lot of controversy concerning "2012"**, from the Apocalypse to the New Age to the "Rapture". I don't actually care whether the "Butterfly Man" was man made or not, and I don't think it matters whether Jose Arguelles, a fantastic visionary and artist who has been very influential in creating new spiritual perspectives, is correct in his ideas and scholarship, or not. He is a true visionary - and has done what artists (I think) are supposed to do - be a myth maker. In an other time and place he would have been called a "seer". The point for me is that this is significant for our time, important mythos for our time. "2012" and the "Cosmic Butterfly" are perfect metaphors for our evolutionary crisis. Whether we speak of our environmental crisis or the proliferation of nuclear weapons, we do indeed stand poised at the edge of unprecedented disaster, not just as little tribes or even unique civilizations, but globally. We also have unprecedented possibility for physical, technological, social, intellectual, and spiritual transformation and evolution. The "5th World" is already here. "The 2012 phenomenon comprises a range of eschatological beliefs that cataclysmic or transformative events will occur on December 21, 2012 which is said to be the end-date of a 5,125-year-long cycle in the Mayan Long Count calendar. Various astronomical alignments and numerological formulae related to this date have been proposed. A New Age interpretation of this transition posits that during this time Earth and its inhabitants may undergo a positive physical or spiritual transformation, and that 2012 may mark the beginning of a new era. Others suggest that the 2012 date marks the end of the world or a similar catastrophe. Scenarios posited for the end of the world include the Earth's collision with a passing planet (often referred to as "Nibiru") or black hole, or the arrival of the next solar maximum. Scholars from various disciplines have dismissed the idea of catastrophe in 2012. Mainstream Mayanist scholars state that predictions of impending doom are not found in any of the existing classic Maya accounts, and that the idea that the Long Count calendar "ends" in 2012 misrepresents Maya history." This morning I went to my mother's house to prepare her breakfast, and beside the door, on a "cat rug", was a strange looking fat green thing, curled into a little spiral. At first I thought it was a bit of plastic the cat had dragged home, but then it moved! Keep in mind that I live in Southern Arizona, where it is currently about 102 degrees, and there are very few leafy trees. I've never seen a caterpillar like this here, although obviously they must be around. I put it on a potted plant, the only thing I could find it might like to eat, although, sadly, the poor thing looks none too well for its encounter with a cat. Can't get over the fact that just yesterday I was writing about, and reading about, "The Chrysalis Effect" by sociologist and visionary Phillip Slater in my previous post! Here's from the Harvard Magazine Review of Slater's last book (he died in 2009). It is ultimately a hopeful book, a visionary book, from the premiere American sociologist who wrote The Pursuit of Loneliness: America's Discontent and the Search for a New Democratic Ideal so many years ago, pointing out the continuing drift toward isolationism, distrust, and loss of community in American culture in the early 1970's. "Always adept at spotting patterns before others notice them, Slater here describes cultural styles that play out on a macroscopic, Toynbee-like level, while stitching these massive systems closely to the facts of daily life. Many of today’s jarring dislocations, he asserts, stem from the clash between the ancient system of control culture and a newer pattern: integrative culture. “Incivility and chaos arise when an old system is breaking down and a new one hasn’t yet fully taken hold,” he writes. 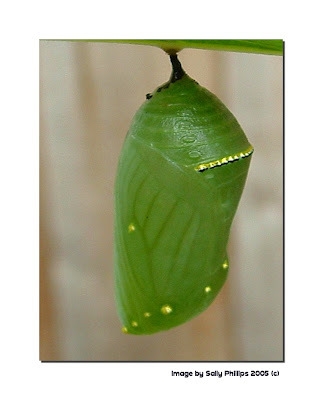 The “chrysalis” of the title refers to the transitional state between one life form and the successor that grows out of it. It was suggested that I consider what this synchronicity might mean symbolically. Caterpillars represent, to me, what we are as a global humanity, adolescent, trying to mature, to transform, to become winged creatures. We're presently, like a caterpillar on a leaf, mindlessly gobbling up our world, eating up everything in sight. We confront the "imaginal cell" time, the time when what we as a common humanity are about to become deconstructed. The hopeful thought is that there is an impulse, a greater force, within our collective instinct that will lead us into, like the force that drives the caterpillar, to the Chrysalis, the "imaginal" stage. So that we might become, at last, become beautiful Pollinators.......such is my hope. This morning I walked into my usual early morning coffee shop in Tucson. It is pleasantly arranged, open early, and the only coffee shop in all of Tucson I've found that doesn't blast loud music (and I don't mean the Brandenburg Concertos) at you. Almost everyone sat behind a laptop, well bulwarked against the world. Many had earplugs as well, just to be sure that nothing external interfered with cyberspace intimacy. As usual, I had my sentimental, grouchy moment of remembering mystical days at Cafe Trieste, espresso machines steaming, poets sitting with books in hand, transparently open to conversation with anyone who cared to ask what the book was about. You kind of went to a coffee shop to meet people, or at least, be surrounded with the hum of noisy, eccentric humanity. I romanticize those days, no doubt, and they seem as ancient as bell bottoms. Books can be transparent......but a laptop is impregnable. I pull out my laptop, and here I am. Where else is there to go? 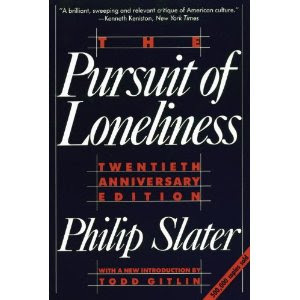 Ironically, I have in my bag a copy of Philip Slater's The Pursuit of Loneliness - American Culture at the Breaking Point (First publication 1970, Beacon Press) - I started re-reading it last night. This classic indictment of America's "cult of individualism and isolationism" is, if anything, more relevant now than it was in the 1970's when it was first published. I pulled out the book because, of all things, I was thinking about a proposal for a talk at the next Pagan Studies Conference on community. As my mother's caretaker these days, I've spent a lot of time watching television with her. It's hard not to become engaged when you're a captive audience; perhaps, as a student of mythology, it's hard not to contemplate this contemporary myth making. I was thinking about why I find the "reality shows" so appalling. Take "Survivor": Put a lot of people on a desert island with few resources, and test their survival skills by making them compete with each other. Now, that is a helpful strategy, should the real thing ever happen. Or "The Biggest Loser": Take a lot of people who are literally eating themselves to death from loneliness, and give them something they deeply long for - a community of kindred souls with a difficult, shared goal. Then make them compete with each other until only one is left. Or how about the popular sci-fi shows, "Lost" or "Battlestar Galactica"? Whether fleeing the Cyclons as the last remnants of humanity or crashed on a mysterious desert island, none of these characters seem to be able to cooperate with, or trust, each other for any longer than between commercial breaks. There certainly, unlike the hopeful years of Star Trek, is no "ships counsellor" to help them communicate with each other. In the first Battlestar Galactica, Lorne Greene and crew were less complicated, but they were certainly noble, and you knew they'd eventually win; with this bunch of characters, I found myself beginning to root for the cyclons. At least they seemed to have the cooperation skill necessary to rebuild a civilization. The Chrysalis Effect shows that the polarization and chaos we see in the world today are the effect of a global cultural metamorphosis, one that has accelerated so rapidly in recent decades as to provoke fierce resistance. The changes that have taken place in the last fifty years – the feminist movement, minority movements, the spread of democracy, the global economy, the revolutions in physics and biology, the peace movement, the sexual revolution – are all part of this cultural transformation. Contrary to popular opinion, the polarization this metamorphosis engenders is not a struggle between Left and Right, or between the West and Islam, but one taking place within the Left, within the Right, within the West, within Islam, within every individual and every institution. Our world is in the middle of an adaptive process, moving convulsively toward a cultural ethos more appropriate to a species living in a shrinking world and in danger of destroying its habitat. Today we’re caught in the middle of this disturbing transformation —a metamorphosis that creates confusion over values, loss of ethical certainty, and a bewildering lack of consensus about almost everything. The Chrysalis Effect provides an answer to the question: Why is the world in such a mess? 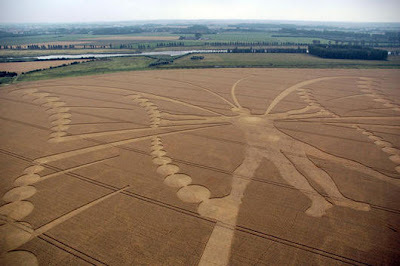 Giant "crop circle" in the Netherlands, summer of 2009. A hopeful thought, whether from Space, or closer to home! 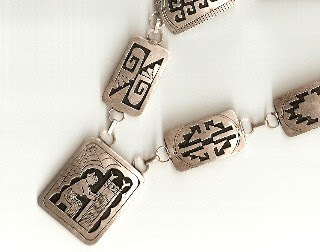 Mitakuye Oyasin, "all my Relations". As I sit here considering the audacity of writing an application for a Guggenheim (well, what the heck. 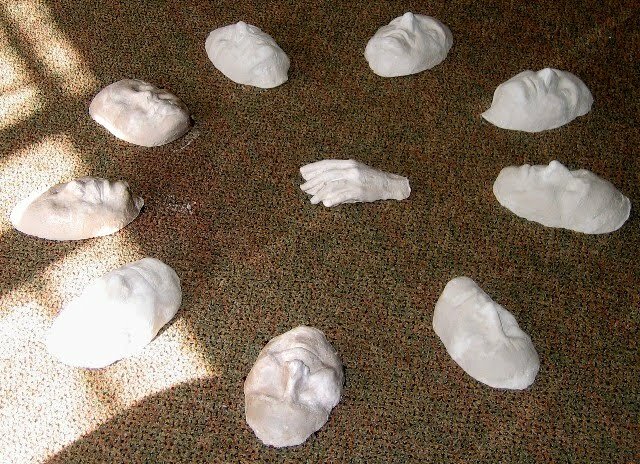 It's kind of like buying a lottery ticket, only it takes a lot longer)..........I try to articulate what my theme of a "Webbed Vision" means ..........foremost, it is participatory in practice, and vision: like a web, everything is meant to expand outwards from a center. 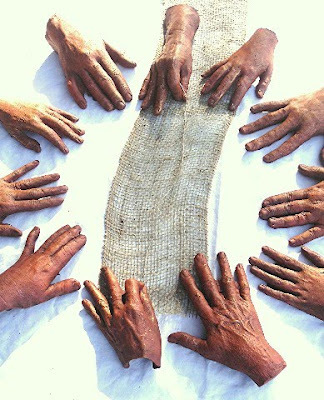 By enacting and exploring the theme of "weaving a webbed vision", through cross-disciplinary shared art process, it would be my hope that a vision of interdependancy.....could become personally articulated, and practically conceived, as participants engage in a collective conversation. Dr. Keller's quote has been a long meditation for me. It was the basis for the group sculpture that hangs now in the hallway at Wesley, "Weavers". Dr. Keller derives her term from the name Penelope, which actually means in archaic Greek "with a web on her face", indicating that the name's origins probably derived from the oracles or fates of ancient times. To see world through the lens of a "web" is to see the world within a paradigm built of relationships: interwoven relationships between all things, from the intimate ecology of a community vegetable garden, to Gaia Theory, to family systems, to particle entanglement. "Good Relationship" thus is a spiritual practice that keeps us connected to a higher order. 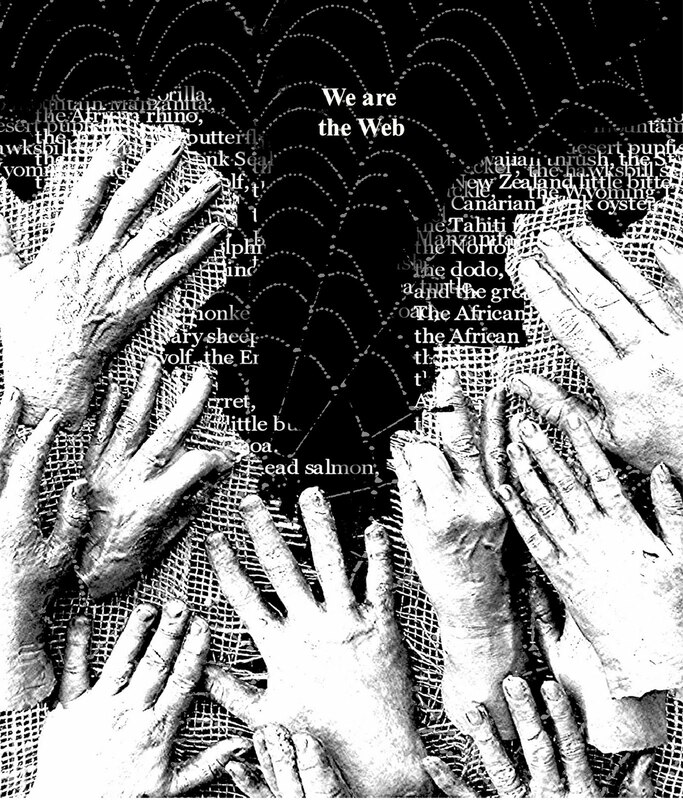 The "Web" is the underlying truth of being. as of one harmonious being?" " The new myth coming into being through the triple influence of quantum physics, depth psychology and the ecological movement suggests that we are participants in a great cosmic web of life, each one of us indissolubly connected with all others through that invisible field. It is the most insidious of illusions to think that we can achieve a position of dominance in relation to nature, life or each other. In our essence, we are one." 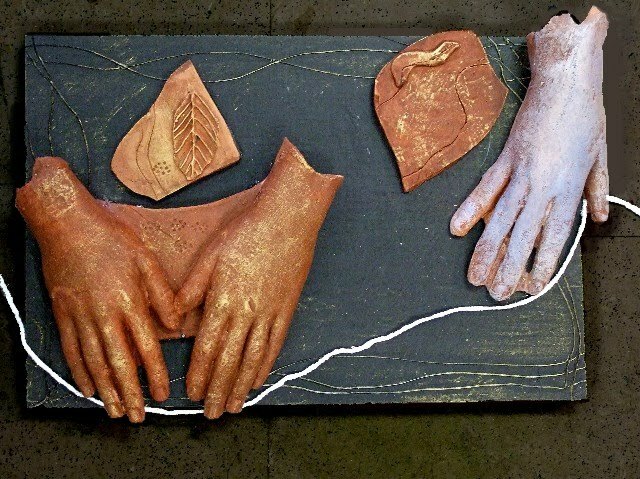 Artists are myth makers, but we all have the capacity to be artists; and we all participate in the weaving of today's mythology. The time to think of art as some kind of isolated activity performed by macho, heroic, alienated "genius" is over. I have always felt ill at ease with many "art world" assumptions I got in the course of my education, which is why I so much admired people like Judy Chicago, Daniel Dancer, and Alex and Allison Grey, people who stepped way outside of the "rules". When Tibetan monks make their beautiful sand mandalas, they are performing a ritual blessing, a prayer that incorporates symbols with a rich lineage and context. 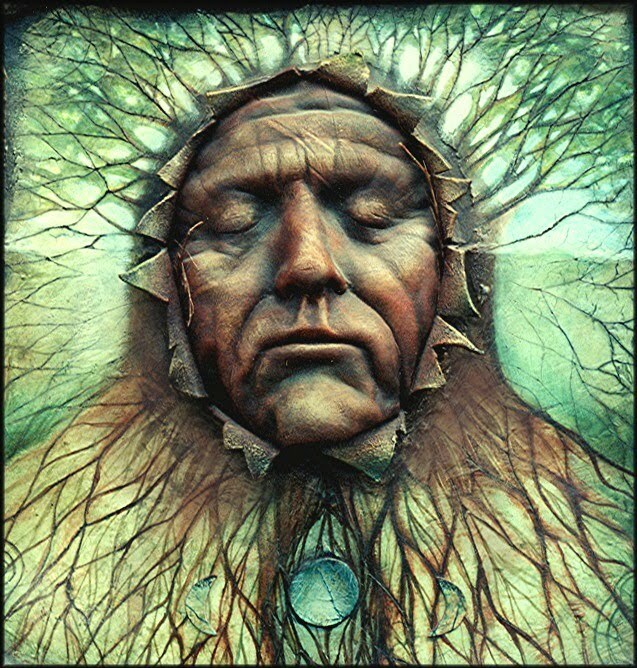 When Navajo medicine men make one, they are creating a portal for healing. 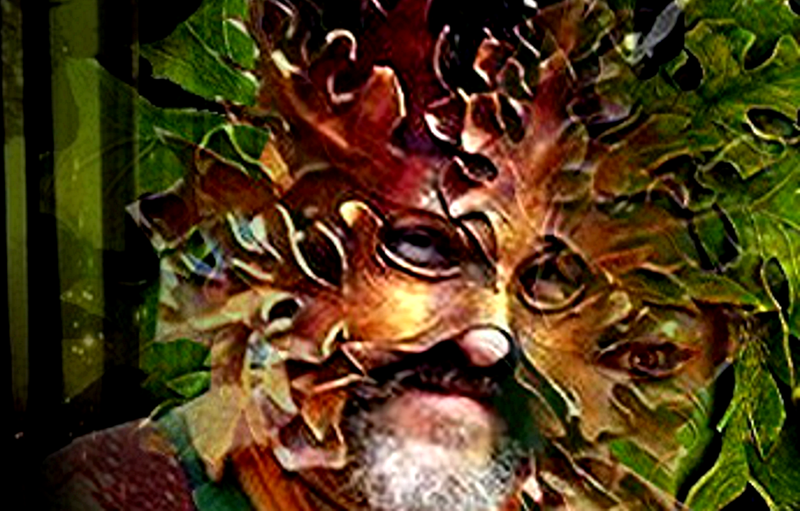 In traditional societies, masks are meant to be, literally, spiritual vessels for the Gods and Goddesses to enter this world within sacred space, ritual and drama, and commune or bless those present. 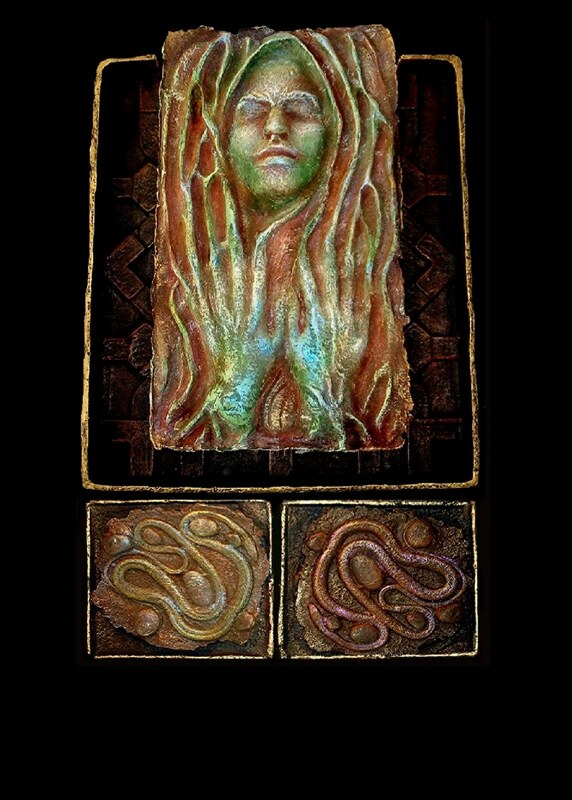 This was a sensibility that was very clear to me when I created the Masks of the Goddess collection; even signing my name to the masks seemed not quite right, since it was a collaboration on multiple dimensions from the very beginning. I do not know how to demonstrate this, but I see it all the time. I think I had my first "Spider Woman" epiphany while hiking in the Superstition Mountains of Arizona long ago. In search of petroglyphs, I huffed up the mountain thinking of native American mythology as I climbed. 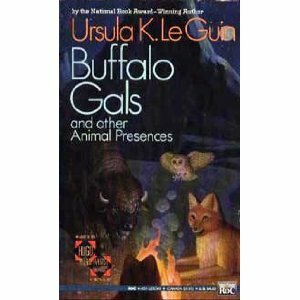 I remember, specifically, I was thinking about a wonderful story from Ursula Leguin's "Buffalo Gals and Other Animal Presences" * - in the title story, a little girl goes to meet Grandmother Spider Woman. When I stopped to rest, I enjoyed the dramatic union of "red mountain meeting the blue sky". Then, gradually I noticed I was viewing the landscape through a transparent spiderweb - suspended at eye level - from a cactus and chaparral bush before me. Turn slightly, it was invisible. Turn again, there it was, just as plain as day. A "Webbed Vision". "Human activity such as fishing, agriculture and logging have greatly accelerated the rate at which species go extinct. As of last year, one in eight birds, one third of amphibians and almost a quarter of all mammals were threatened with extinction, according to the International Union for Conservation of Nature....Alroy's study looked at 100,000 fossil collections spanning hundreds of millions of years, with a strong focus on marine life. He found that dominant creatures can be dramatically affected by large extinctions." I would think this would be terrifyingly obvious........it is amazing to me that we need, apparently, an expert to determine, from 100,000 fossils, that as "dominant creatures" who are the agent of the 6th Extinction, it just might impact us as well. Why are we so paralyzed? How have we lost "a webbed vision"? My grandson is going to reach his adulthood in a world without tigers. Snow leopards. Prides of lions. Mountain gorillas. Oh, they'll be around, maybe, in zoos, or in nature preserves. But not in the wild any longer. He will probably also come of age in a world without seafood that is safe to eat without the risk of mercury poisoning or absorbing plastic particles ingested by the fish. A world without many of the songbirds we now enjoy, without many of the butterflies, the frogs. A world where pristine beaches without plastic debris and polluted waters belong only to the very wealthy, a world preoccupied with escalating war as resources continue to become scarce and population continues to explode. 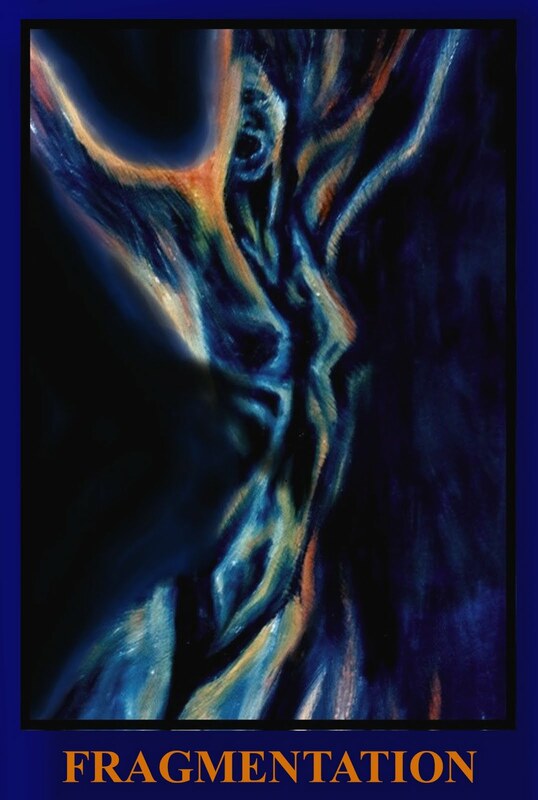 How do we bring alive, now, this new and ancient mythos, this template of relationship ......a "webbed vision"? Joel Kramer and Diana Alstad, "The Guru Papers"
**There is also a wonderful story in this collection called "May's Lion" in which an old woman is visited by a dying mountain lion. Leguin shares this scene from the perspective of our contemporary world, and what it might have been like for an old native woman ("Rain's End) in another time and place.........here, the lion has come to her to die, and she is honored by this, offering her presence to the lion, her prayers for it's journey into the next world. When "May", in this time and place, tentatively calls the police about the lion, they shoot it - and in some incoherent way she does not fully understand, May knows this was not right, she somehow lost something important. To remember driftwood and high tide. always new, always cold, and blue. blackberry thorn - into the green. I close my eyes, and see her. sourcing the one who lives here. and then return to Berkeley. I am at the other end of this life now. ring here still, still ring true. Since I can't seem to finish my latest entry in this journal, I felt like sharing one from Sig Lonegren, who I met many years ago when, quite without any intention on his part, he set me to wandering and wondering on my path. At the time, I was living in Vermont, and wandered down, rather hungover, to the Putney Inn for a cup of coffee. 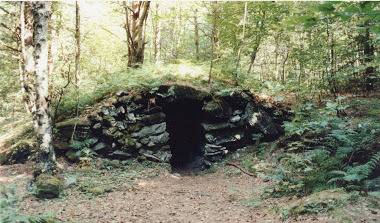 Unknown to me, the New England Archeological Research Association was having its conference there, and before I knew it, I was on a bus with Sig's group, and learning to dowse for ley lines at several of the mysterious cairns and sacred sites that are in the Putney area. A year later I sat with a group of people and watched the Sun rise through two huge entranceway stones aligned with the Summer Solstice. I have been reading in "Northern Earth" and hearing from friends in the publishing business that the bottom seems to be dropping out in terms of Earth Mystery (EM) magazines and books. The number of magazines covering this subject are falling here in the UK, and in the publishing business, they are just not bringing out as many books in this area as they had been doing in previous decades. Of course, the recession is responsible for some of this, but also, it is my feeling that a saturation point has been reached as far as the archaeological evidence our prehistoric ancestors have left us, therefore, the speculation as to what they might have been up to. How many more articles like "Ley Lines Really Do Exist!" 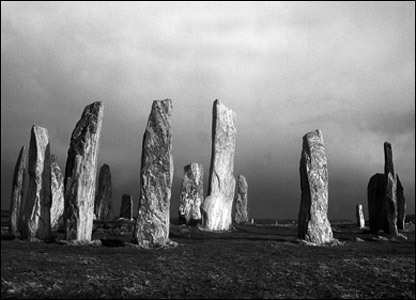 or "Is Alexander Thom's Work on Archaeoastronomy more than Fantasy?" do you really need to read? 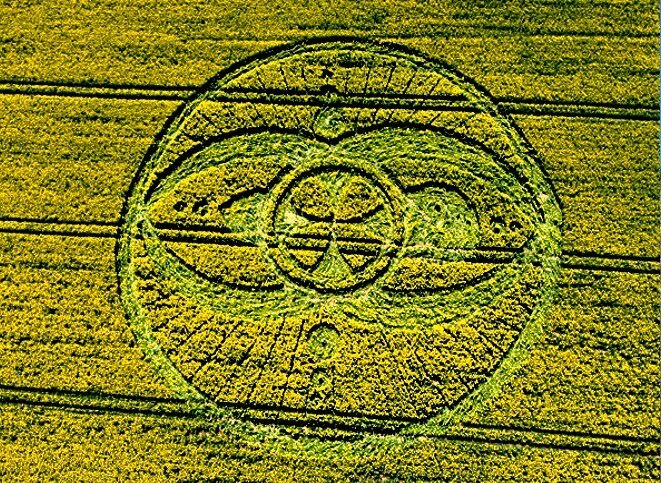 How many more pictures of ancient (and new) sacred sites being oriented towards the Sun do we need to convince us that all over the planet, our ancestors gnew something we don't? Our prehistoric foremothers and fathers were certainly in to the stars and other heavenly bodies. Do you know where Saturn or Mars or Venus will be in the sky this evening just after sunset? I'd put money on the reality that your 17,500th Great Grandfather (5 generations a century x 3,500 years) knew just where these planets were. So, how did your 17,500th Great Grandma and Grandpa relate to the heavens whilst in their sacred sites? And, much more importantly for us now here at the end of the beginning of our EM journey, might we be able to do the same today? Of course, there is not one correct way (I'm no Fundamentalist), but I have developed a process that that might help others to experience this directly. I call it, "ArchaeoAstrology: From Knowing to Gnowing," and I will be offering this in a three part workshop at the BSD Convention in Cirencester next weekend. 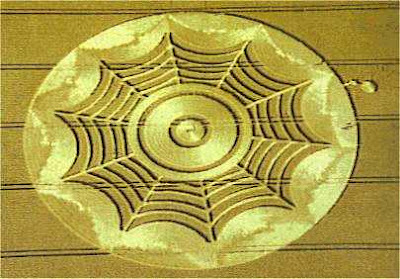 I felt like writing a bit about the "Spider Woman" crop circle I found......I was somewhat amazed to find this obscure symbol in a crop circle site! Mr. Silva believes that it is a man made circle, but reminds me that that does not have to negate its power as a symbol, or for that matter, a beautiful work of earth art. There was a legend that when the world was going to change, Spider Woman would return again to help her Relations, as she has done in the previous worlds. I have often thought that the World Wide Web just might be Her latest appearance. 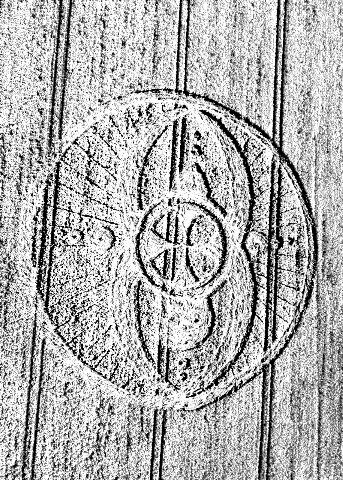 I am grateful to Mr. Mark Fussell and the Crop Circle Connector for feedback, as well as "Crop Circles Reflections of a Season, by Mr. Fussell and colleagues. Below is the "circle" in black and white, and next to it a detail from a pre-historic Mississippian shell ornament. I believe this one is from Spiro Mound in Missouri, although I will have to check my reference books - the ornament, most probably worn on a cord around the neck, would be anywhere from 400 to 1,000 years old. I see the Spider Woman image in the crop circle (without all of the legs), the cross, the head and "womb" shapes, and rayed "web" or "strands" emanating from the spider/creatrix figure. 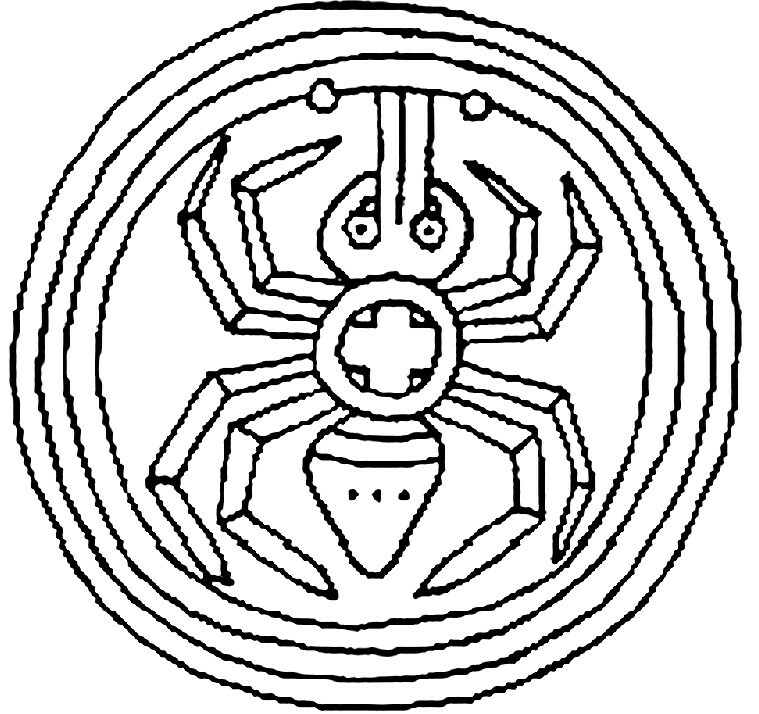 (There is often an emphasis upon the "womb" center of the spider, as Spider Woman is associated with the Earth Mother/Creatrix, from whose body all things emanate). 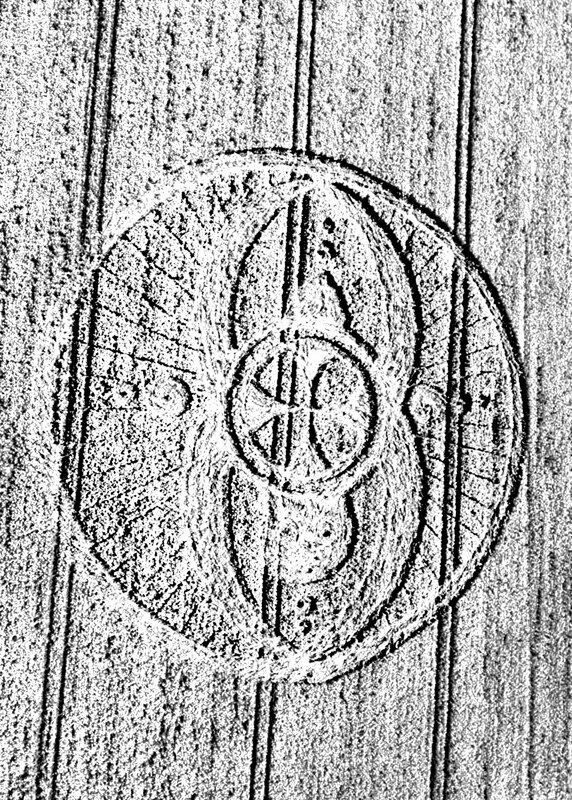 Whether created by paranormal forces or through the efforts of contemporary "earth artists" who prefer to further controversy about their work.........these are still sacred symbols that exist on many layers of meaning. Mr. Silva is right; the origins of the "crop circle" are not as important as what its meaning for our time might be. 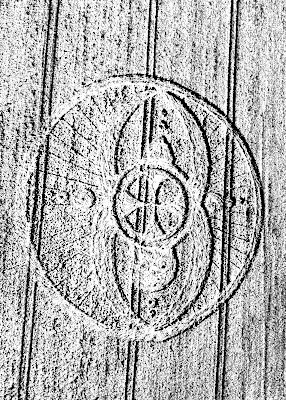 This symbol, with it's origins in the remains of the "mound builder" sites in south eastern U.S., somehow found it's way to Great Britain last summer. No one knows the exact significance of the spider and cross in the ornaments pictured above, but Spider Woman has an ubiquitous presence throughout the Americas. It's generally thought the "Spider and Cross" represents the Great Weaver (Creatrix)/Earth Mother, the cross on her back representing the union of the 4 directions, thus, balance or completion. Spider Woman's origins go back as far as the Maya. The Spider Woman/Weaver Woman was a goddess of the Pre-Columbian Teotihuacan Maya in Mexico, discovered on the ancient murals there. * I see that I"m moving into a dissertation here, so I'll cut to the chase. What meaning could this symbol have for us today? 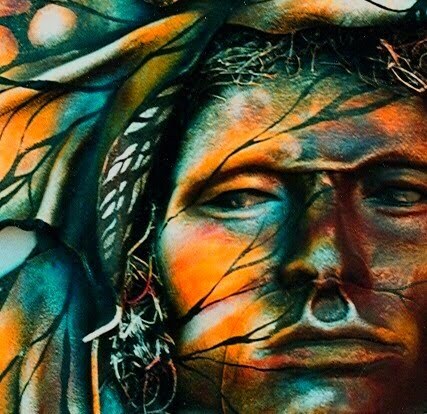 To the Navajo (the Dine`), Grandmother Spider Woman is a wise guide whose teachings can be heard in the wind; but she will only offer instruction to those who have achieved a certain level of maturity or initiation. To the uninitiated or immature, she will appear only as an insignificant insect, her power and words unperceived. 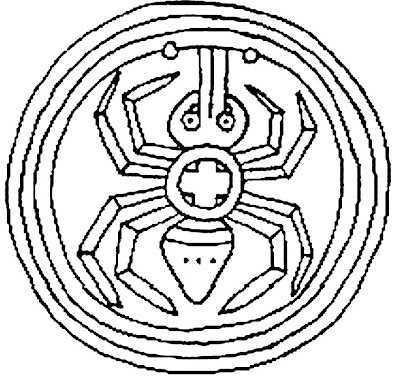 Spider Woman was responsible for bringing the people from the previous worlds into the new worlds in Hopi mythology.........in some stories, when the 3rd world ended in flood, she help the people to make boats and stepping stones to cross into the new world in safety and harmony. 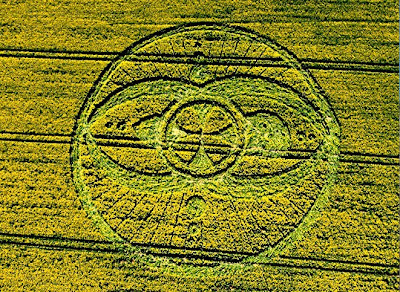 I am trying to understand why I'm so struck by this crop circle, which, like so many others, occurred near old sacred sites of Great Britain, "power centers" of the ancients. 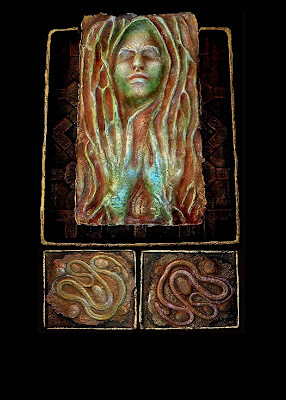 **** Perhaps, in this "way of telling, way of praying", Spider Woman is again invoked, to help, to bring us again through the kiva, the "sipapu", the "Birth Channel" of the Mother Earth.....into the "5th World" yet to be. 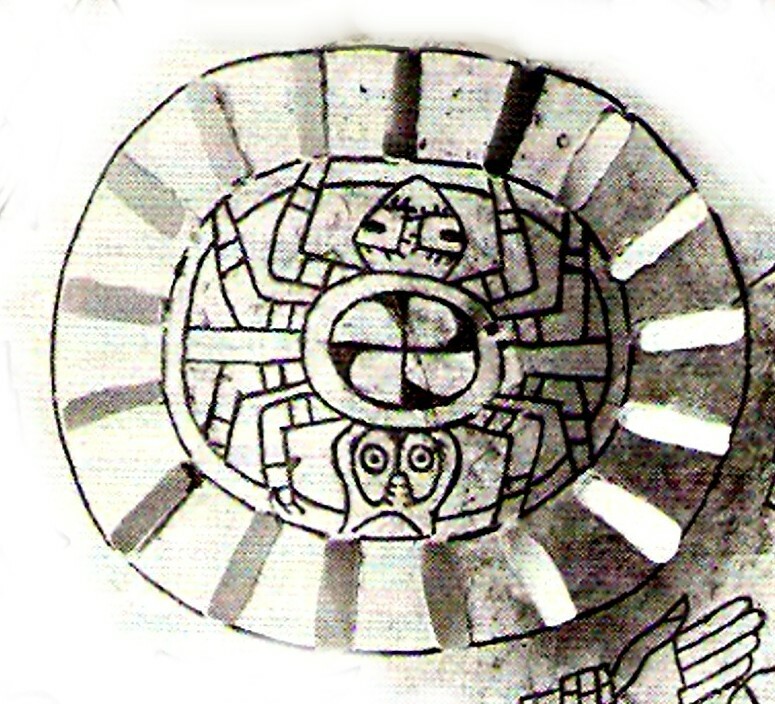 **Although often referred to as the "Great Goddess" of Teotihuacan, anthropologist Karl Taube was the first to appropriately christen her the "Teotihuacan Spider Woman" in his article in the 1983 edition of The Journal of Latin American Lore after his evaluation of the murals found there. the Spider, is sitting in her room now.